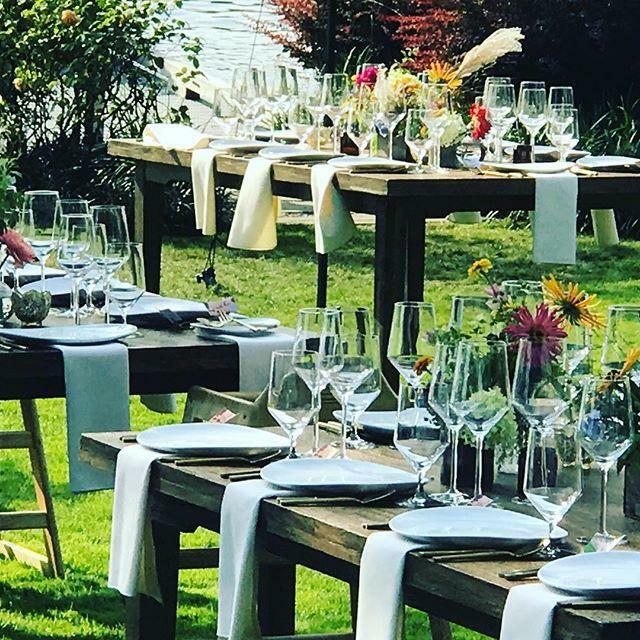 Based out of Whatcom County, Washington, Paellaworks has been providing custom menus for catering, event consult and planning since 2003. Our Paella and Arroz are handmade using traditional cooking techniques and the finest local and imported ingredients available. 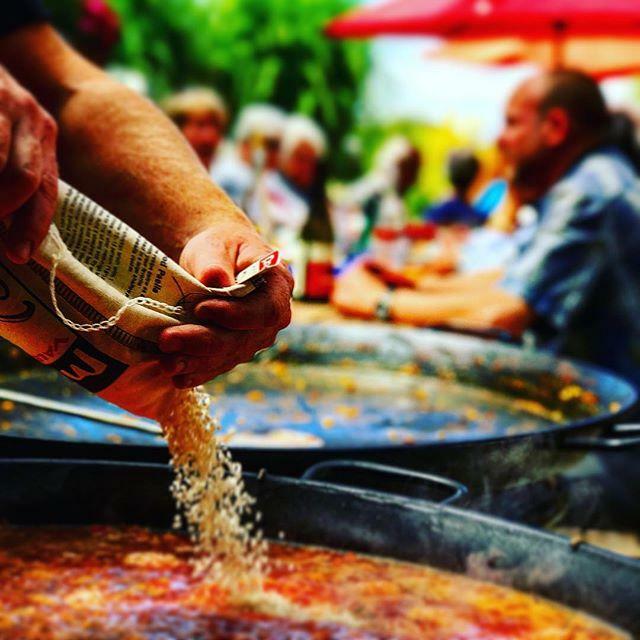 Completely mobile, we bring the Paella experience to your event anywhere in the Pacific Northwest and beyond! Oyster Service: Featuring fresh shucked regional oyster varietals. Hot and cold Tapas menus. Seasonally appropriate entrée menus in conjunction with arroz. Pacific Northwest Seafood Beer Boils. Bar Packages and consult of beer and wine. Paella means pan in both Spanish & Catalan, and it is this pan, wide and shallow, that allows for the caramelized flavors of garlic, onion, tomato, and fresh rosemary sofrito to meld.Valencian rice, (arroz) is then added and slowly simmered in handmade citrus saffron stock. The arroz is then garnished with appropriate ingredients for the type of arroz being made. A wide array of seafood, meat, game and poultry as well as charcuterie is available, complimented by fresh seasonal vegetables, which are then steamed by the simmering rice and stock, creating a medley of flavor and texture greater than the sum of its parts. 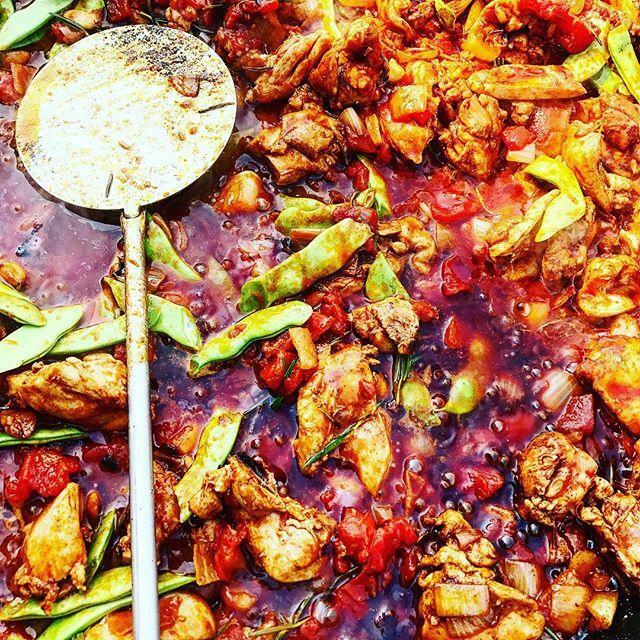 WHERE AND HOW IS ARROZ COOKED? Paella was traditionally cooked over open fire, but due to the reality of urban settings, the use of propane fueled paella burners is utilized for most events, allowing the paella to be cooked on/in your veranda, carport, front yard, or any other feasible indoor/outdoor location. We will gladly build a grapewood fire in your front yard or office parking lot though! HOW MANY PEOPLE CAN PAELLA FEED? Private/Corporate Paella catering packages start at a minimum of twenty five guests. Arroz is available in vegetarian and vegan options, and can be tailored to food allergy specific situations. What types of Arroz do you make? Arroz Mixta: Rosemary braised chicken or pork, calamari, wild caught shrimp and shellfish. Arroz Mariscos: Bacalao Sofrito, fresh rockfish or Sockeye salmon, Pacific yearling oysters and scallops, wild caught shrimp, calamari and shellfish. Arroz Negre: Squid or Cuttlefish ink with seasonal market seafood. Arroz Carne: Jamón wrapped pork tenderloin or smoked paprika braised beef tenderloin, freshly ground chorizo, rosemary braised chicken, linguiça, roasted tomato, paquillo. Paellaworks also offers custom arroz for consult. What comes with a Paella Package? 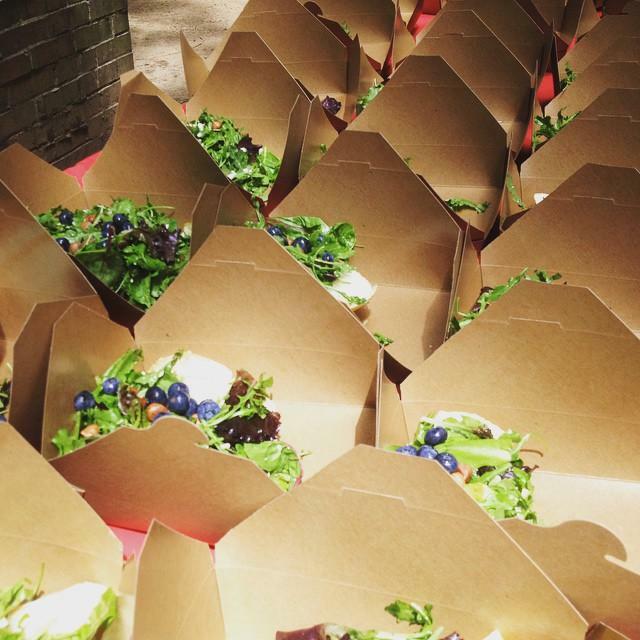 Paella is presented exclusively with Breadfarm breads and locally grown field greens. Are you looking for a good time? So are we! Tune in here, at the events page, to find out where and when Paellaworks will be serving up hot, fresh Paella as well as Oyster Bars, Tapa, and who knows what else! Join Paellaworks, The North Fork Brewery and Lost Giants Cider Co. as we celebrate local seafood, craft cider and craft beer! Sample the collab cider beer from these two great local companies as well as individual styles, merch raffles and brewing notes from the brewers themselves. Paellaworks will be providing a cider beer seafood & crab boil. Details TBA. This is a ticketed event with tickets available through Taylor Shellfish. 4/20 HAMA HAMA OYSTER RAMA 2019! Paellaworks will be on hand with a PNW Seafood boil showcasing Chuckanut Brewery South's Skagit Harvest Ale. This is a ticketed event, and tickets can be purchased through the website, Eventbrite or from Skagit Farm to Pint Fest's FB page. Viva!! It's Spring for real this time! 11-3:30ish. Paella and the return of sangria! 11-3:30ish. The party is over. Time for a mini Sunday holiday with a ramble into Edison! 11-3:30ish. The Fam is in town and you are wondering what to do. Bring 'em to that gem of a village called Edison for some hot paella and conviviality, Slough Food style! 11-3:30ish. Join Paellaworks for an afternoon & evening of fresh Paella Pescado featuring premium Taylor shellfish & wild shrimp along with specially tailored, (no pun intended) menu offerings from the Taylor Oyster Saloon! We will also be featuring Head Brewer Eric Jorgensen's hand picked sour beer and specialty brews from none other than The North Fork Brewery. This is a ticked event with tickets available through the Taylor Shellfish main website in the SHOP/EVENTS tab. Paella, Beer flights and special menu items will also be available a la carté day of. 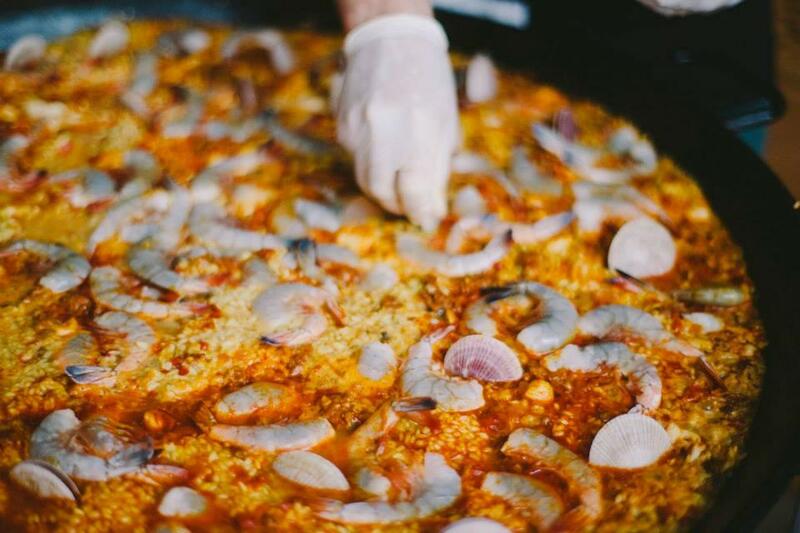 Paellaworks will be on hand at the 3rd annual Seafeast with fresh, hot Festival Paella Pescado in celebration of our Bellingham Maritime Heritage! 4/27 Spring Cooking With Nahla @ Mediterranean Specialties, Bellingham. Paellaworks will be joining up with Nahla to present a very special cooking class and dinner preparing traditional Lamb Osso Bucco over herbed polenta with spring greens. Insalata and Dolce included. For information & to reserve, please telephone 360.738.6895. 4/21 Hama Hama Oyster-rama 2018! Oyster Arroz to the masses! We are bringing it back to Sunday for the Spring & Summer at Slough Food in Edison! Paella Mixta, Sangria, fresh views, flowers! Parties of 10 or more can reserve space at appointed times throughout the day 360.766.4458 Otherwise, come relax, & enjoy the day in Edison! 12-4ish. Paella at Slough Food! Yes, we know it's St. Paddies. 3/3 Taylor Shellfish Farm, Bow. Oysters, Seafood Boil and Cider! 6:00-9:30. Paellaworks will be taking over Taylor Shellfish in Bow for a night of oyster grilling and fresh shucking with custom hot and cold toppings, a special appetizer featuring Breadfarm's amazing Samish River Potato Bread grilled and presented with smoked salmon and Dungeness crab-Nøkkelost Mornay with wild rocket and salmon roe. We will finish off the night with Seafood Boil featuring Old World Deli in house made Linguiça Calabresa, clams, crab, new potatoes, wild shrimp and cob. Regional and local cider offerings will be the word of the night, besides seafood and a great time! Paella Mixta plus Pan con tomate in the garden! Rain or shine in true PNW style! Planning a Wedding? We have many years of experience in event and Wedding planning and will work closely with you and your Wedding planner to provide a truly special and memorable addition to your most special of days. 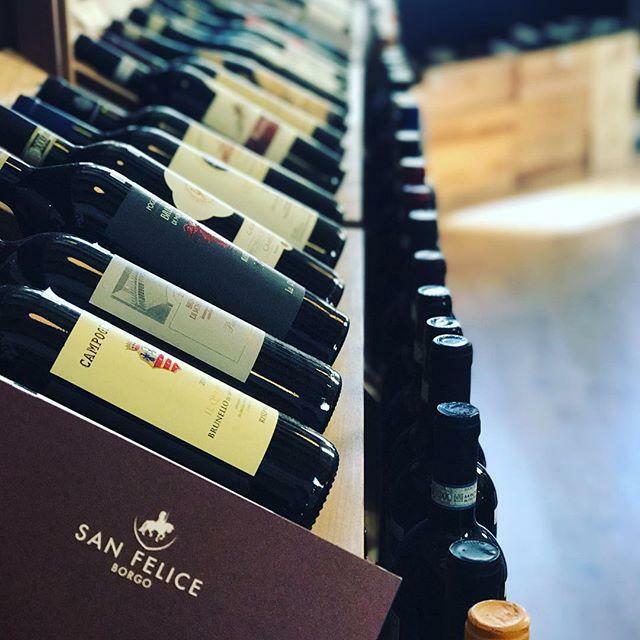 We provide event site consult, Bar Package Service and beverage consult, rental consult, menus taylored to you and your guests, as well as general staffing. On site Paella Package interactive catering. Remote site event planning and catering. Dana F. Besecker Co. Inc.
Oysters! A Northwest tradition. We offer fresh shucked varietals offered by regional farms with traditional and custom garnishments. 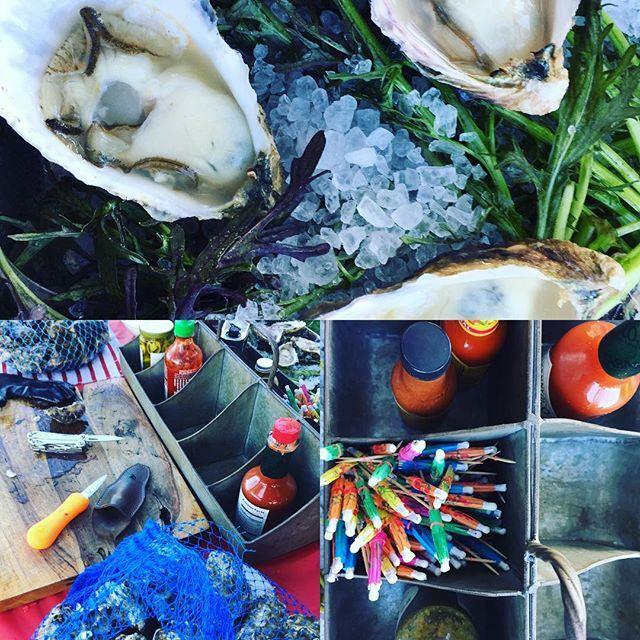 We are always working and experimenting on new and unique seasonal flavor pairing menus, as well as our own oyster exploration and education! Beer, Wine & Cider Consult. Procurement, Delivery & Service. Jockey Box Service, MAST Certified Bartending, Signature Cocktail Consult.